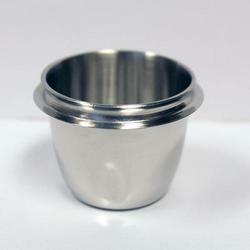 Pioneers in the industry, we offer platinum ware from India. 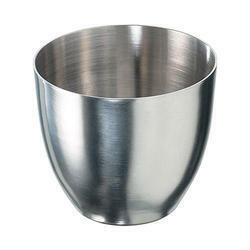 We present to our clients a premium range of Platinum Ware, which includes crucibles, tongs and basins. These products are unique alloy, which consist of an exclusive purity of 95% platinum and 5% gold metals. Requisite for the fusion processes, this combination of metals has negative coefficient of fused sample adhesion. Furthermore, the fused sample pours from the crucible to the mold, which is virtually free of any lingering droplet at the pouring spout or within the body of the crucible. The process of removing thermally set beads is relatively performed easily. In order to ensure safety of product during transportation, we properly pack them in varied sizes wooden boxes along with user manual. Applications Area: Chemical industry Home Medicines Pharmaceuticals. Looking for Platinum Ware ?